While my Old Fashioned Buttermilk Biscuit recipe reminds me of my paternal grandmother from Georgia, my Angel Biscuit Recipe always reminds me of my maternal grandmother from Missouri. I can remember her making the biscuits quite often for our family get togethers. 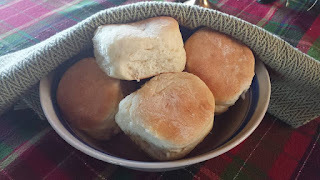 I have included in this post some tips to help make the rolls the best they can be, but the truth is this recipe is pretty forgiving, so if you have never made yeast rolls before, don't be put off by all the additional notes. Dissolve one package (or two Tablespoons of yeast) and one teaspoon of sugar into two Tablespoons of warm (not hot) water (approximately 110 degrees F). Let stand 5 to 10 minutes while you start working on the rest of your recipe. This is called "proofing your yeast. The warm water gives the yeast the right temperature to start working and the small amount of sugar gives it something on which to feed. If your yeast is good, it will begin to "foam up" and grow. If your yeast is not active, there is nothing you can do to make it active. You must get a fresh batch that is still living. 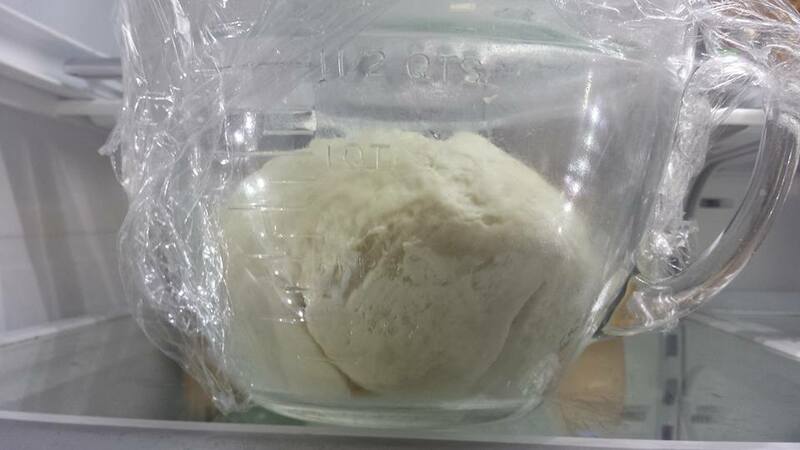 Yeast can be bought in bulk and kept in the freezer. I have literally kept yeast for years this way. On another note, if your water is too hot or too cold, this will keep the yeast from growing during this proofing stage. 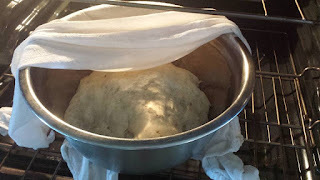 Proofing the yeast insures your yeast is active and it gives your bread a head start. 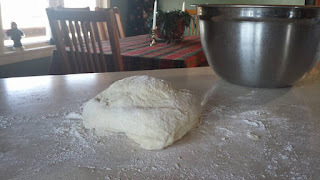 Turn dough onto a floured surface and knead adding additional flour if necessary to make a soft dough. Your goal is to have a dough that ends up not sticky or stiff, but elastic like when you work it. You want your kneading surface to be comfortable, neither too high or too low. People use various techniques to knead the dough. Here is one example and here is another. (The texture of the dough and the process used in the second video from King Arthur Flour is actually closer to the process I use.) Kneading the dough is a process that strengthens and stretches the gluten strands in the dough which provides proper conditions for the yeast to work to make the bread rise. Your goal is a smooth, elastic dough. Finding your own rhythm in kneading may take time and practice. If your first attempts at bread making are not exactly what you would like them to be, don't give up. Making bread is as much a scientific process as it is creative and requires the right conditions for optimum results. creates the right environment for the yeast to grow. 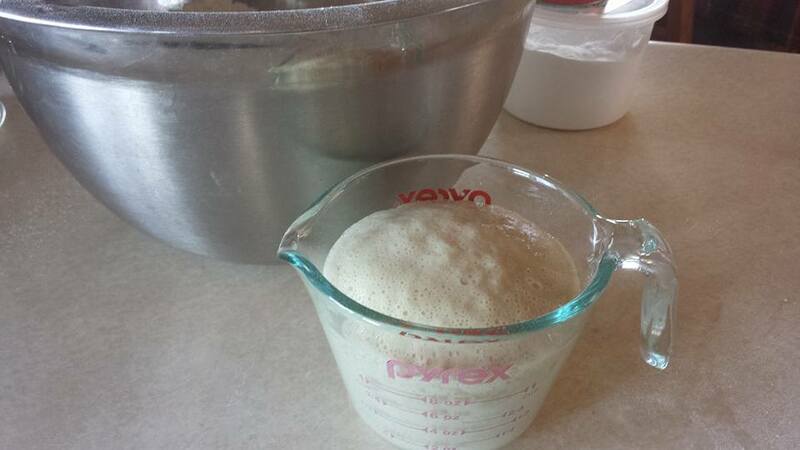 The dough is ready for the next step when it has doubled in size. roll the dough out to about 1/2 inch thick. Cut biscuits with a biscuit cutter or you can use a drinking glass. 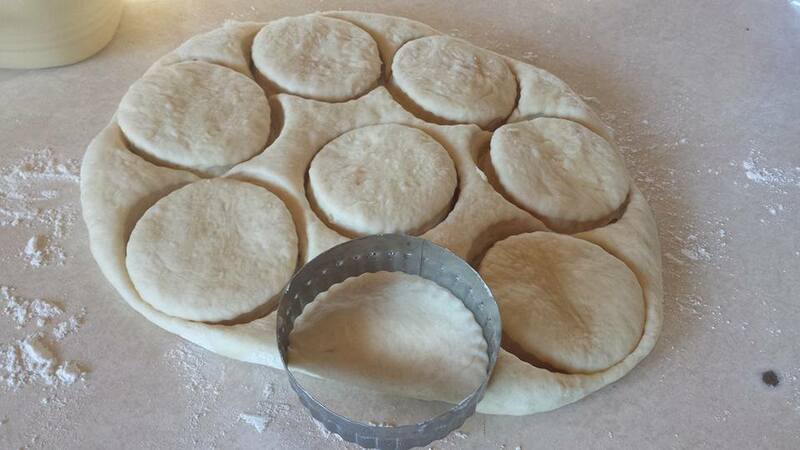 Roll the dough out to about 1/2 inch and cut. 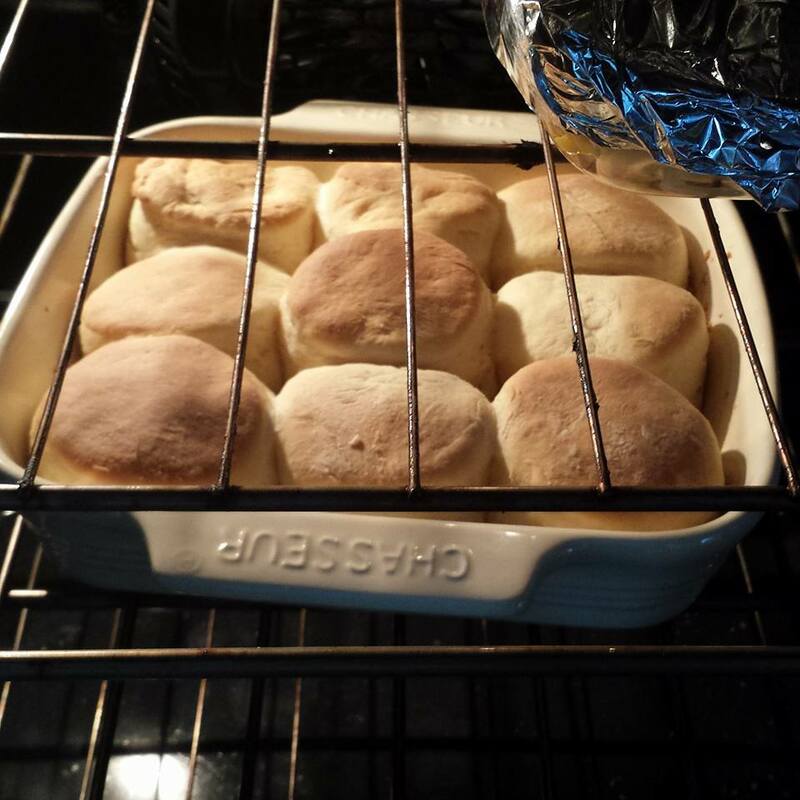 Place biscuits/rolls in a lightly greased baking dish. 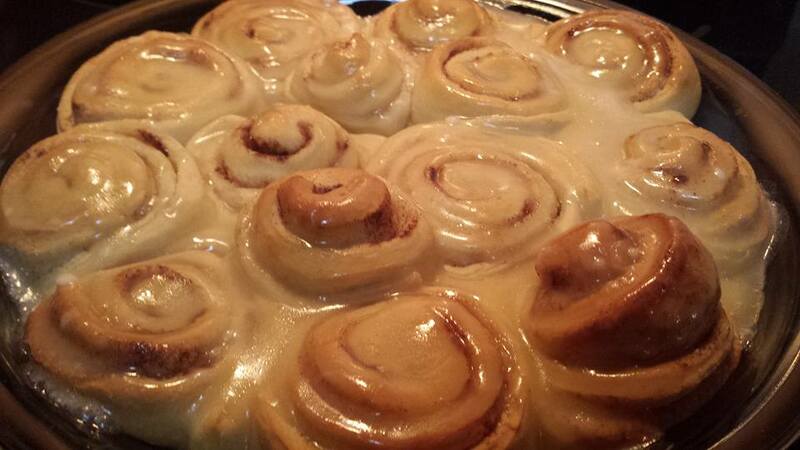 Let them rise again in the pan. 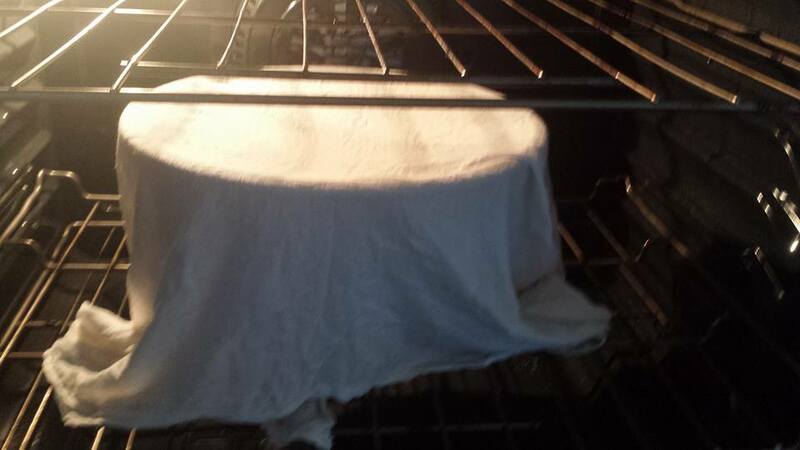 Bake in preheated oven at 400 degrees for approximately 15 minutes, or until they are brown on top and cooked through. (If they have risen pretty high during the baking process, you may want to pull one apart to make sure they are completely cooked before removing from the oven. I have had them brown on the outside but still doughy in the middle if I did not leave them in long enough. Angel Biscuit dough can be kept in the refrigerator. It is great for family get togethers because one can make the dough up ahead of time, refrigerate, and then make fresh rolls as needed. You can refrigerate before the first rise or after the first rise, it doesn't matter. When you take your dough out of the refrigerator, allow enough time after you have cut the rolls for the dough to rise. It will take some additional time because of the dough being cold. But don't worry, although I have given a lot of tips to make the best rolls possible, the recipe is actually pretty forgiving because it also contains baking powder and baking soda which are also leaving agents that activate when the dough is cooked. Another great treat to having this yeast dough on hand is that it is so versatile. The dough from this recipe can be rolled out, coated in butter, sprinkled with cinnamon and sugar, rolled up and sliced for some delicious, homemade cinnamon rolls. It also makes delicious pizza dough.